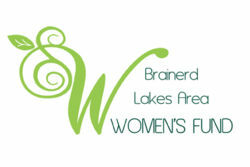 On Tuesday April 16th, the Brainerd Women’s Fund will be holding their annual Women Making Waves event at Arrowwood Lodge. Together we unite foundations in Alexandria, Brainerd, Willmar and the Greater St. Cloud area under a single framework to create efficiencies that maximize the impact of our donors.